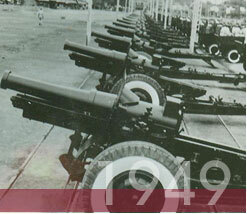 Since the founding of the People's Republic of China in 1949, the military has marched in 13 National Day parades. 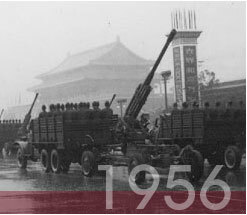 The parades not only display the achievements accomplished by the People's Liberation Army (PLA), but also showcase the new spirits of the PLA military officers and soldiers. 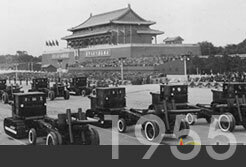 China.org.cn brings you a series of videos that highlight some of the most memorable moments at the parades.